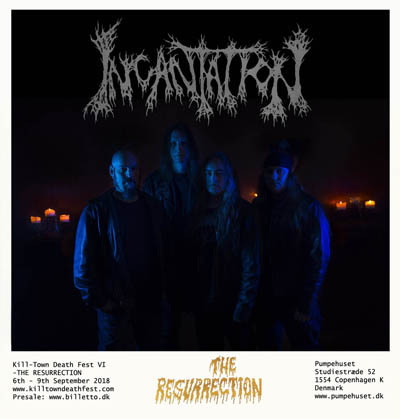 Killtown Death Fest » Announcement #35: INCANTATION (us)!!! We are down to the final announcement and this is one we have been looking forward to share with you. Since the very beginning they have been on our top want list over bands we really wanted to get on the festival, but for 8 long years we never managed – until now… Being one of the originators of death metal and been around without any form of compromise since 1989; its with great pleasure that we can announce that INCANTATION will be performing this years KTDF!!! Having gathered supporters and fans all along the 25 year journey. Circles devoted to all/specific eras or an audience’s first encounter. 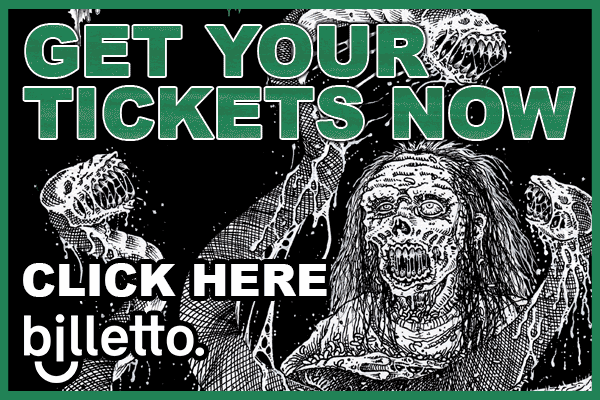 Incantation has crushed venues, festivals, and clubs with their rabid attendance. From North, Central and South America. Canada, Europe, Scandinavia, Australia or Japan all have welcomed the inferno that scorched their lands. For a quarter century now they’ve been creating blasphemous death metal and still their indulgence is eternal…….. Under the Ibex Moon!